One of the movies that made Tom Cruise very popular is “Top Gun.” In this film, Tom Cruise has demonstrated his true passion in acting. Top Gun is the highest grossing movie in 1986. It is an American action drama movie directed by Tony Scott and starred Tom Cruise, Kelly McGillis, and Vial Kilmer. Cruise portrayed the role of a young naval aviator aboard aircraft USS Enterprise named Lieutenant Pete “Maverick” Mitchell. He was given the chance to train at the Navy’s Fighter Weapons School at Miramar in San Diego. The film made a history being the top earner of all movies shown in that year with a record breaking income of $177 million in the United States alone. The inspiration of the film was an article issued in May 1983 by a magazine in California. It features one of the navy schools in the US which is the United States Navy’s Top Gun School. They did have a hard time filming the movie, which resulted to the death of a stunt pilot. The death occurred when the plane went into tailspin and crashed into the Pacific Ocean. The stunt pilot was Art Scholl and the film Top Gun was dedicated to him. 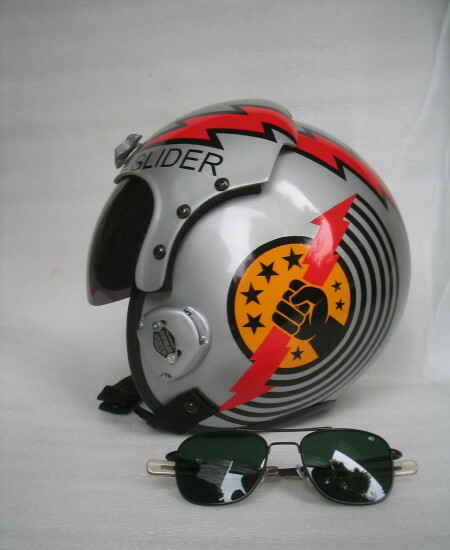 One of the highlights of the film was the different types of helmets used by Cruise and his co-pilots in the movie. Helmet aficionados can’t get enough of the helmets used although the movie was screened a long time ago. If you are searching for the exact replica of such helmet, then your prayer has been answered.  There are now Top Gun helmets replicas available for grab. 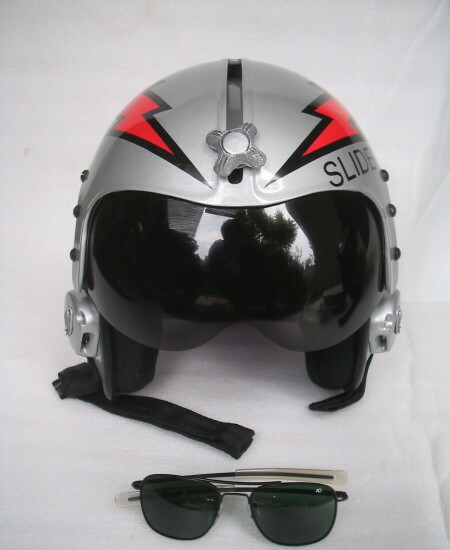 The Top Gun Slider Replica helmet (worn by Lt. Ron “Slider” Kerner starring Rick Rossovich) looks exactly the same as the real Maverick helmet. It is a screen accurate F-14 HGU-33 Flight Helmet. However, this helmet should not be used in the actual flight for it does not have communication equipment. It is comfortable to use though because it comes with a comfortable custom interior. Size wise, the helmet is pretty big and the inside construction is the same as the Gentex helmets, hardware, and visors. The helmet is for display purpose only. So, if you are planning to buy the helmet for actual flight purpose, then you will be disappointed. 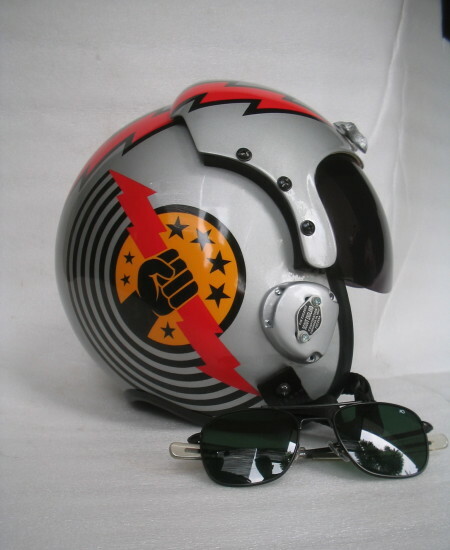 Top Gun aficionados don’t mind buying the helmet because what’s important to them is they will have a memorabilia of their favorite Top Gun movie. The movie was shown several decades ago, but you can still relive the memory through the replica helmet. 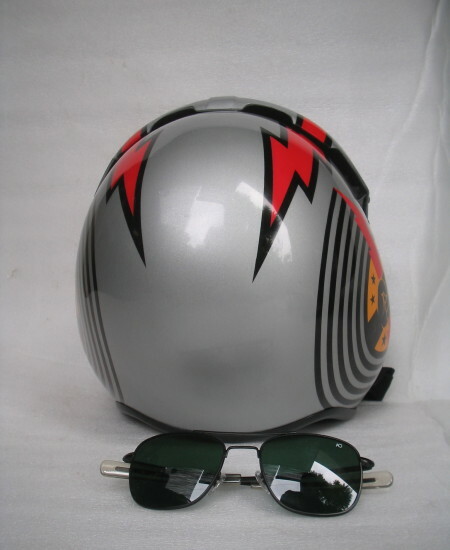 As a matter of fact, having a Top Gun replica helmet is not just a form of a souvenir but also a true treasure that you can bring with you wherever you go. Some people have negative implications when it comes to replica stuff. However, with the slider replica helmet you will surely get the best value for your money for it is made from highly durable materials. With proper care, the helmet will surely last for years to come. You can even hand it down to your children and your children’s children.